But that all changed about three years ago. 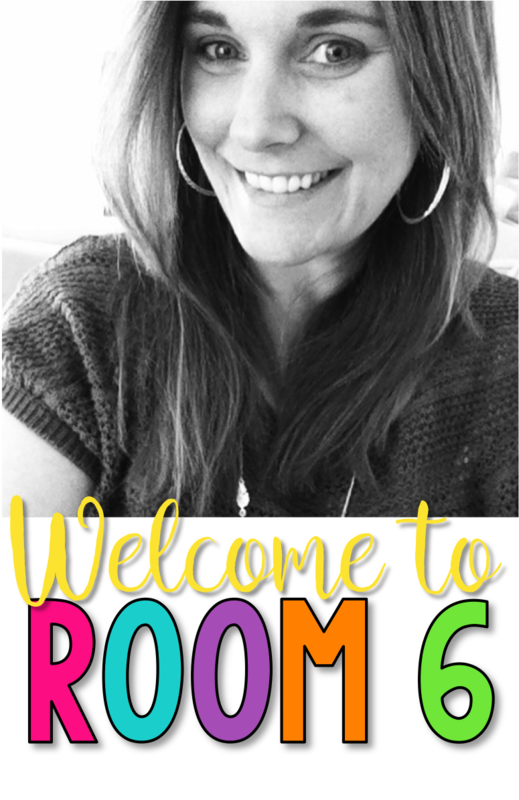 I was bound and determined to make reading a central focus in my room. I figured if the kids liked to listen to me read, they would start to read themselves. And, do you know what? It worked. I can now say, with confidence, that I am building lifelong readers in my room. Students actively discuss books with me. They ask me daily when we will read either our read aloud or in class novel. They LOOK FORWARD to it. And then, when the book is done, they go out and get the next one in the series or a book written by the same author to read on their own. Students look for books to read instead of avoid them. Reading is...dare I say it....fun! 1. Reading is a priority. I have the read-aloud actually scheduled into my day. It is prominently displayed up on the board and the kids know that we will get to it. I never skip it. Ever. Even if that means reading for one or two minutes. Seriously. Keeping it a priority and a *must do* in my room lets the kids know that it is something to be valued and treat it as such. 2. 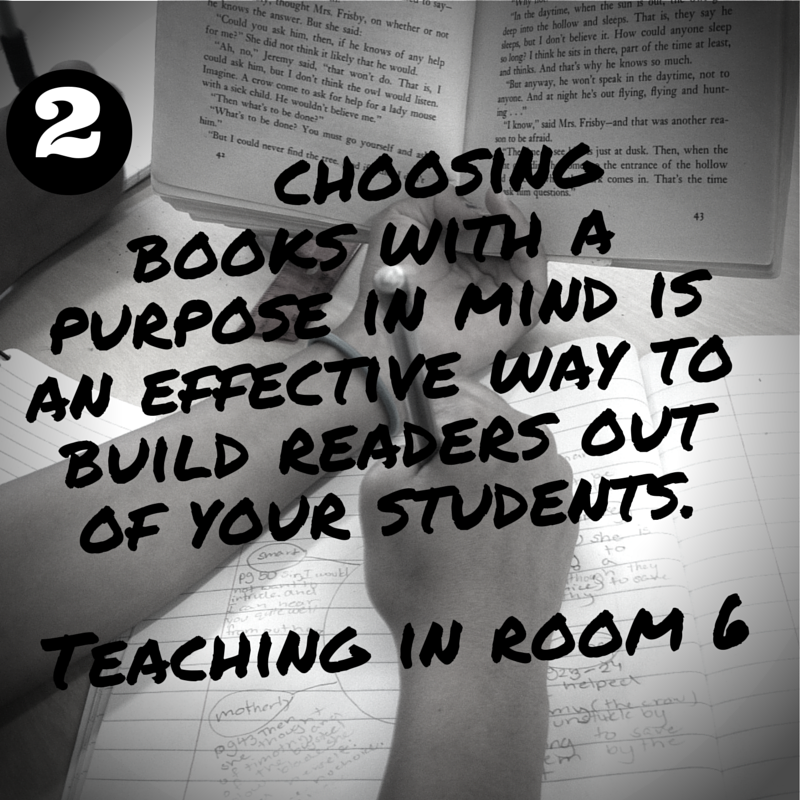 I choose books with a purpose in mind. When I am choosing a book to read aloud to the students, I tend to pick books that I know they just wouldn't pick when in the library. Books that, even if they did pick them, would probably be put down after the first chapter because they don't instantly grab the reader. Books that, once they do grab the reader, never let go. I also like to choose books with a lot of talking points that lead to discussions or are relate-able to the students. 3. Read Aloud. I know this sort of is just a repeat of the other things I said, but really....just read aloud to your students. They LOVE it. All ages. All grade levels. They really do love to just hear people read. How many times have you listened to a book on tape? It is so nice to listen to another person read. And that opens up a whole world of books to kids who would never have that kind of access in the past. Not many kids can handle the complex language of The Phantom Tollbooth on their own, or stay focused enough to really understand The Giver by themselves. 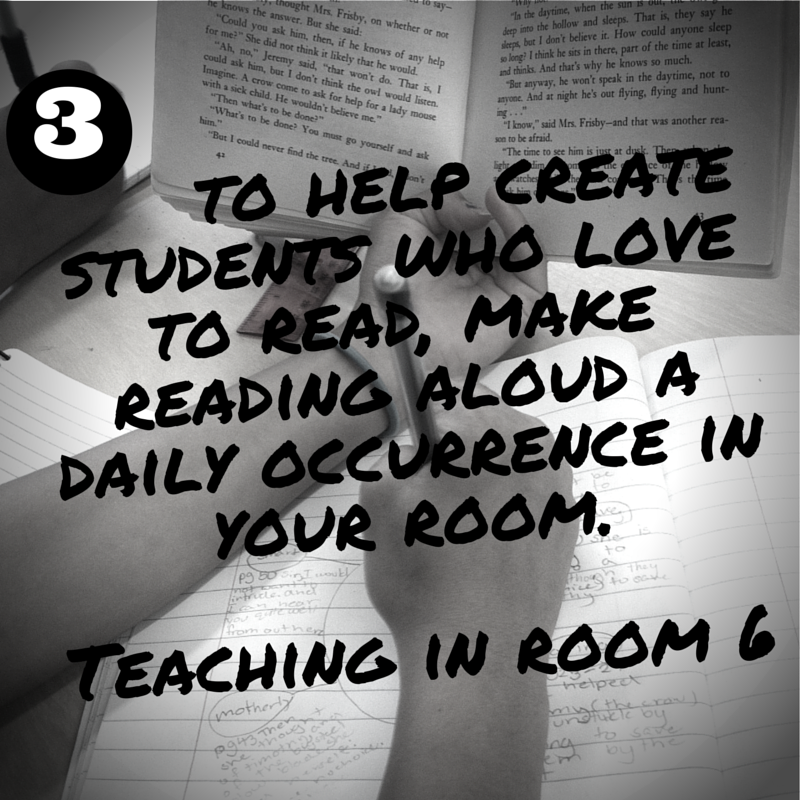 But with you reading aloud....you can hook them! They will then gain the confidence they need to start choosing books with similar themes or ideas that they might not have before. 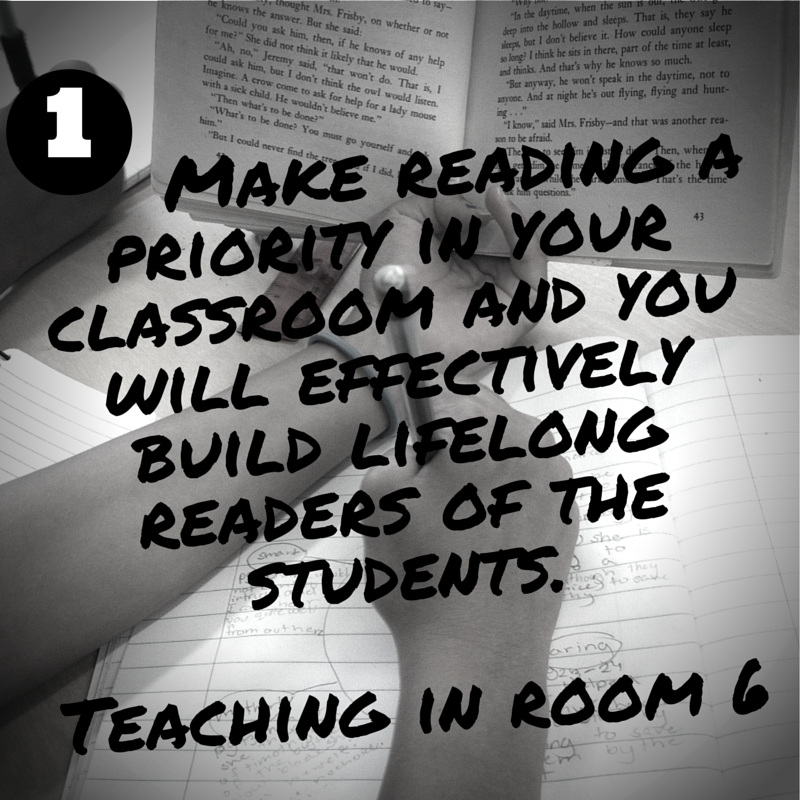 There are SO many more things that can be done to create lifelong readers in your classroom, but these are just a few of the really easy things that can be implemented right away. Once you make reading a priority and choose a book that will have the kids begging you for more, you will know that it is working. It is those moments, those ohhhs and ahhhs and "no! Don't stop reading!" times that I live for in my classroom now. 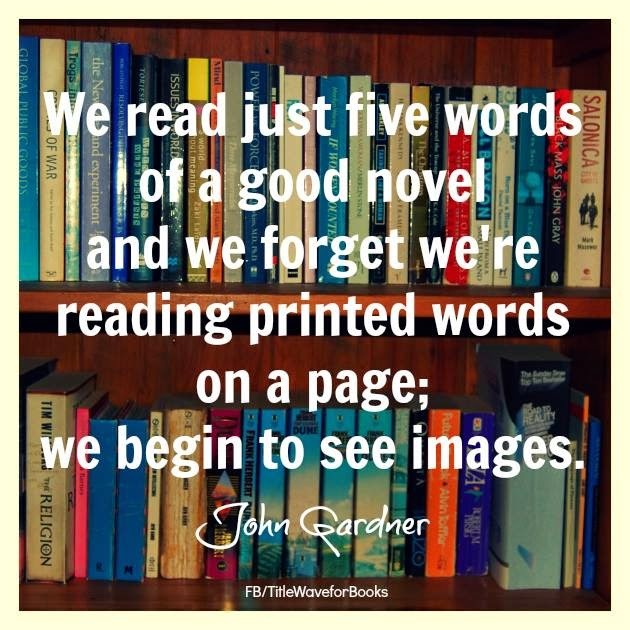 Are you in need of some book suggestions to get you started? 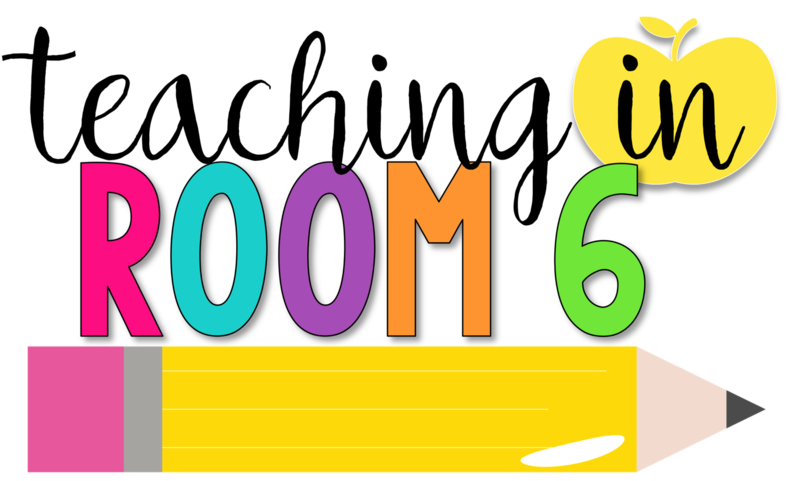 Here are some of my favorites for upper elementary. Excellent! Great reminders of what all classroom teachers should be doing. You've put into words what I've been thinking! Thanks for the great book suggestions, too. There are a few I'm not familiar with & I've been looking for a new Read Aloud book for January! !